Cleverly written with vibrant illustrations to match. Interestingly, I'm going through a phase where I'm feeling a bit self-conscious about myself and so this story is right up my alley. Children stories are as simple as they come but can impact you just the same as... say a true account told by Victor Frankl (my favorite). Slippery Willie's Stupid, Ugly Shoes is just that: Simple, fun, cleverly exaggerated story with a clear message. The illustrations are clear and rich with color and emotion. My 6 yo daughter was sadden by Willie's sad face and when asked at the end of the story: "If you were in school with Willie, and everyone was making fun of him, would you stick up for him or join the others?" She immediately said she would be his friend. Parents will be pleased to see that at the end of Slippery Willie's Stupid, Ugly Shoes there is an Interaction Guide and Discussion Questions. Though many of us do this already and many times we ask and do as we read along. It is nice to have them there. All in all, Fantastic Children's title and one I think parents and children alike can learn from. 2 important lessons are taught in the short picture book. It's not nice to make fun of others who are different and sometimes we worry too much what others will think. I admit about half way through I wasn't sure about this book. I was feeling pretty bad for poor Willie and wondering where the author was going with the story. It wrapped up in a way that made a great story to teach children about differences and how we treat others. This book would be useful in a classroom setting especially one with children who have disabilities. This is a delightful little story. My daughter just laughed as his silly antics and shoes. She may be a little young to truly realize the moral of the story - but it is never too early to start impressing morals and values on children. This is on my laptop and iPad and we have read it often. Plus it is nice to have on the spur of the moment! Bullying---what to do? I do not have a Phd. in child psych or anything like that. I am a parent, grandparent, former little league coach and a writer who used to be a construction worker in NYC. My credentials on the topic of bullying were earned in the “school of hard knocks” having learned from the old time teachers whose names were, experience & common sense, although it seems common sense has been forcibly retired and replaced by a no-sense guy called zero tolerance. I digress. First of all, we are all unique. But my experience has taught me that the kids who wind up being bullied invariably feel they are “more different” than their peers and do not feel good about themselves. They hate their nose, their eyeglasses, their hair, maybe their parent’s car is “old” and they are embarrassed being seen in it. It starts there and the bully will sense it. Why are some kids easier targets for a bully than others? The first line of defense against the bullies of the world is a suit of armor called self worth and self respect. This comes from the parent(s). This is CRUCIAL. A child can and must be taught that being different is OK. When they begin their journey outside the home (which often times starts in a day care center) they may be ready to defend who they are. If they are not prepared they are easy prey to the bullies of the world who will sense it and attack. So parents, teach by word and deed. Help the needy, say HI to a homeless guy, visit a rehab center where kids who are “different” are being treated. The preparation for the battle all starts at home. If you suspect your child is having a problem with a bully, ask him/her straight out. Then voice your concerns with the school. Go on-line and access the plethora of info available. And—do not be afraid of using some good, old fashioned, common sense. First of all, I just gotta say, that I wish I had this in hard copy form because my kids would have ADORED this book, ALMOST as much as I did :-). And, the little boy, Willie Wiggles, bless his heart, I loved his name. It's just so darn cute! But, the message of the story is what I love the most. 'Slippery' Willy had a bit of a problem....he couldn't stop slipping when he was on his feet. Poor little guy! So, he had to have special (or in his thoughts, stupid ugly shoes!) that kept him from slipping so much. But, he just knew that they were HORRID, and the kids would absolutely, with out a doubt make fun of him. He sat down with his mom (gotta love us mamas!) and talked about the importance of not worrying what others will think, and to be happy with who you are, because, while you're not the same as others, you're still unique and special. I truly loved that! Every child is special no matter what. This book will have a special place in my heart forever. You see, my son was born with a cleft lip and palate. He is now 6 almost 7, and while his lip is repaired, he has a slightly, barley noticeable, crooked nose and a scar. I have worried for two years about him going to school and the kids picking on him. Yet, after two years, nothing. They accept him for who he is. It warms my heart that the kids are so accepting like that. Just like 'Slippery' Willie, my son is different, yet the same as everyone. He was made to be who he is and that is that. 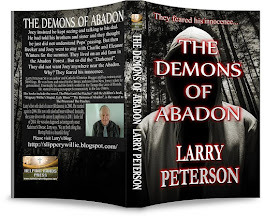 I am truly pleased to be a part of this blog tour and to have had the chance to read this book by Larry Peterson. He has a talent for writing, and for creating a story that touches not only children's hearts, but the hearts of the parents, too. I highly recommend this book with 4 stars to every parent out there with young children. The message is strong and the book is perfect for all kids. This is a book that I will be purchasing or highly recommending for all my friends as they have kids. They may not need it right away but they will need it. I don’t know if anyone can ever say they have never felt different and weren’t sure it was a good thing! We all have times in our lives to where what makes us unique is what we think is our flaw when it can turn out to what makes us wonderful and the perfect version of us! I think the author does a great job of making a children’s book that speaks to all ages! It’s cute and funny but not so child like hokey that the big manly Dad’s won’t want to read it to their kids! If the other kids were making fun of somebody, I would hug him and make him feel better. Having had my own share of required “paraphernalia” when I was a kid, I loved this fun look at a serious topic. Waaay back in college, I wrote a story for a marketing class project about a girl who had to wear a back brace. While the story had a similar message to this one, I love the author’s idea here of using a “silly” difference – slippery feet – to make it 1) applicable to just about any difference and 2) nonthreatening to those who do have specific differences. The illustrations fit the the comical exaggerated storyline perfectly. This book would serve as a great resource for kids who have differences (isn’t that most of us? ), as well as for kids who need a little assistance empathizing with others. The suggested activities and discussion questions at the end drive the lesson home. Esmé had no problem following the story. While the story is a great fit for lower-grade students, the illustrations on every other page keep the attention of smaller ones like her. Little touches like Mom catching Willie with a butterfly net were perfect for Esmé to relate to. Every year at this time, "Little Petie", the "kid" inside me, becomes absolutely impossible to deal with. He is obnoxious, and overbearing, is determined to get his way and will not take NO for an answer. He is banging on the walls, jumping up and down, rolling around on the floor and even hollering, "Open up! Let me outta here! Open up already!" So, whatever is his problem? Well, it is baseball. He knows that opening day of the major league baseball season is less than a week away. He also thinks that he still lives only six blocks from Yankee Stadium. He does not understand that things have changed. He still has this crazy notion that he and his friends can run over to the Stadium, hang out by the players entrance on 158th Street and see the "Mick" and "Yogi" and the "Scooter" and the "Moose" and the other guys. He thinks that if I let him out he and his buddy, Stixie" will be able to somehow have, by the 2nd inning, wangled their way into the ball park and will be sitting in the Mezzanine watching the Yanks slaughter the Red Sox. After the last out he and Stixie will jump the fence near the dugout and, with hundreds of other kids and grownups, run onto the field, tearing around the base paths and running around the outfield. He will make believe he is Mickey Mantle running and catching A "Ballantine Blast" off the bat of Ted Williams then throwing a strike to the plate from the the very same spot that the "Mick" had thrown from only moments before. He also knows that if he gets out he will be able to do this all summer long, right up until school starts in September. Well, as a parent to the little guy, I have to be hard hearted and tell him, unequivocally, "NO!! You cannot leave. Discussion over." Simple as that. Being a parent is tough work. Sometimes you have to disappoint even if it breaks your heart. It will be okay. "Little Petie" will get over it and by May he'll be tucked safely back in his little world, quiet and content until next March. In the meantime, he'll join me in rooting for his new team, the "Tampa Bay Rays" (Who ?? ?--in case you never heard of them they beat the mighty Yankees for the division title two of the last three years) and for some of the new guys like Longoria and Upton and Price. Maybe we'll catch a few games at Tropicana Field. Will we get to run onto the field? Yeah, right? " PLAY BALL!! 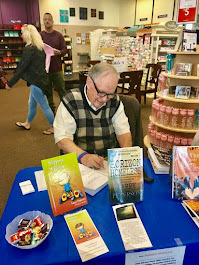 Larry Peterson, author of the children's book, “Slippery Willie’s Stupid, Ugly Shoes ”, is a part-time writer who spends a good deal of his time caring for his wife and working in the high school cafeteria. Though his schedule is full as a part-time employee and caregiver, he's found a way to keep his passion alive…reminding us all that there is no excuse too big that we cannot follow our dreams as writers. How did you get started writing professionally? I wrote a few unsolicited columns for a local newspaper (about 20 years ago) and dropped them off at the paper. The owner/publisher, a man by the name of Judson Bailey, gave me a call and asked me to stop by. He was an old-timer from the old-school of journalism (pre-computer, pound the pavement guy). He had a great mane of silver hair that flowed backward to his shoulders and the bushiest silver eyebrows. He also smoked a huge pipe and—well, he was quite the guy. Had worked in NYC for years as a reporter and editor. Anyway, he says to me, "Petie, you have this unique way of saying things. So, give me a column a week about whatever you want to write about. I’ll give you $25.00 a pop." Imagine that…I never did anything professionally and he tells me to write what I want. Never edited anything either. Amazing! That’s how I started. That went on for about five years and then Mr. Bailey passed away from cancer. I did continue to write for the paper and a few others, but they all went belly-up. So, from maybe 95’ until about three years ago I was traveling in writer’s limbo. A winding, curvy road with hills and valleys and pot holes and ditches that finally hit a straightaway. However, I am sure more curves and bumps are up ahead. What was the first market you queried and why did you choose that market? “Okay—“Reader’s Digest”. Why? It was there and asked for submissions. I was far from being a serious writer and, naturally, the piece was rejected. What is your biggest obstacle when it comes to pitching yourself as a writer and what steps have you taken to overcome that obstacle? I am very uncomfortable talking about myself. Doing this is actually a bit of therapy in helping me get by that. I know that being a writer requires exposure so I am really appreciating this opportunity. Can you tell us a little bit about your latest book? Ultimately, the book addresses differences kids may have and shows them that it is OK to be different. 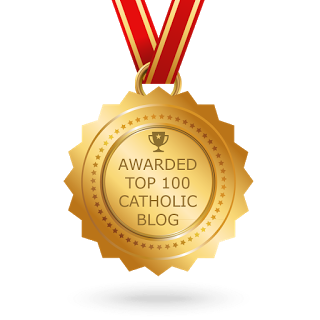 The book received the Catholic Writer’s Guild Seal of Approval ( it is not a religious book). If you could choose just one thing for your book to accomplish, what would it be? If there is one child somewhere on this planet who gets the message from this story that it is okay to be different well, for me, that would be a HOME RUN. 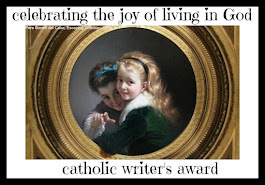 How do you balance your life as a writer with your duties as a parent or spouse? At this point in my life I actually have the luxury of being able to write every day. My first wife, Loretta, was ill for a long time even when are kids were young. She died 8 years ago from melanoma. I had come down with MS and had to get “walking” which I did (yeah, I can see and stand and everything—docs, God bless 'em—they don’t know everything. Hey, I even had prostate cancer—4 years out and doing good. I remarried four years ago to a great lady, named Marty, who was a widow and a member of SVDP, too. Right after we married I had the prostate surgery. She was great. Now, she has come down with cancer and it is a high-grade lymphoma and has spread rapidly. Tomorrow she goes for chemo treatment #2 in a 4 cycle regimen. She is now my priority. However, unlike years back, I still have time to write. As a man—my duties are to my family first. When I have time for me I just say .”Thank you Lord”. Simple as that. The point is, for me, you play the cards you are dealt—no matter how lousy. Give it to God and keep on smiling. I MEAN that. What is your best advice for getting past writer's block? For me it is to WRITE, WRITE, WRITE. Even gibberish. I have even just doodled letters before I actually made gibberish. It works for me. Sooner or later some of the gibberish triggers a coherent thought and then BOOM !!! You suddenly have a sentence. Mr. Bailey told me, over 20 years ago, that when writing, I should be careful not to try to be someone I am not. To develop my own style and voice. We are all unique, even writers. So, I do remember that. I am careful not to copy a style but rather, use the advice I learn in Writer's Digest and apply it in what I do. It is the same as a baseball player. They all have their own unique batting stance but, when they go to swing the bat, the hips have to turn, and the bat must go level through the strike zone, head tucked into shoulder. Same thing—a writer’s swing will either strike out or get a hit. 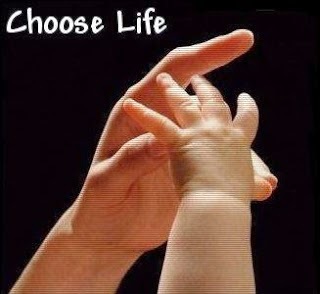 But he/she does not want to change their stance to look like someone else. What do you feel is the single most detrimental thing a writer could do to destroy his/her career as a writer? I believe if you start thinking that you are the reincarnation of Hemingway or that you are really a “GREAT” writer you are doomed. Better hold on to some humility. 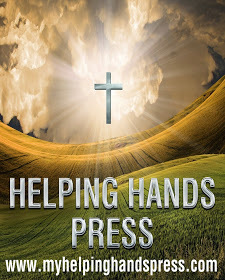 No one can succeed in this or any business without others helping, from publishers, editors, etc. Even rejections should be looked upon as positives. What’s ahead for your writing? 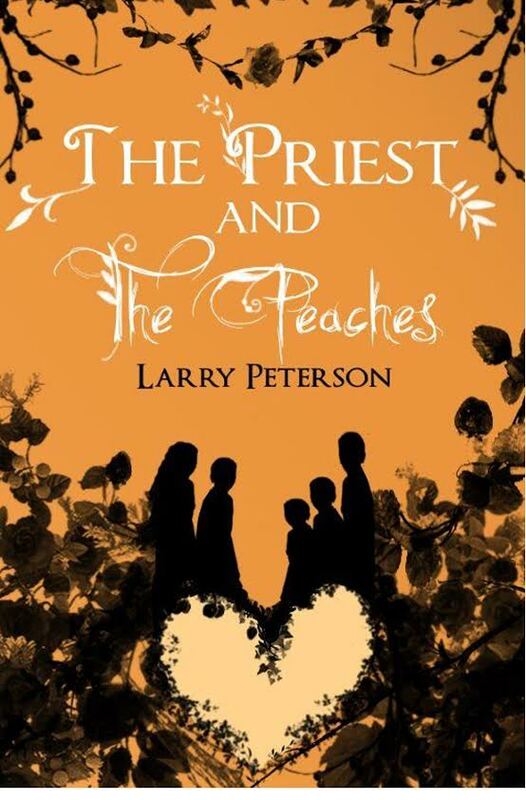 I have a novel completed “The Priest & The Peaches”. It has to do with five kids who, over a period of several years, lose their parents and wind up on their own. I hope it appeals to the YA level but I think it can appeal to adults also. It is sad and funny; not bleak. This might be the first in a series following these kids as they grow but I’m not going there yet. This one is still an unproven commodity. I also have another children’s book that needs a re-write and some other stuff. 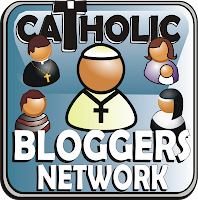 The fact is, I am a novice at social-networking and having an online presence. Nicole Langan, from Tribute, has been a wonderful help in getting me started in this area and I’m trying to learn as much as I can. So I must spend time doing that too. This is a story about Slippery Willie – the boy who slips and slides everywhere. In an effort to prevent this, his Mum buys him very secure shoes. Willie, however, thinks the shoes look ridiculous and doesn’t want to wear them. He gets so upset about the shoes that he has a nightmare that everyone, including planes overhead and buildings are laughing at him. All is resolved once he wakes up and speaks with his Mum. This book is only 24 pages long, and is fully illustrated. As an adult, I enjoyed the book, and could even relate to the worrying! This was a fun book that children will engage with. The story is simple but teaches how worrying about something achieves nothing but makes you sad and scared. The only problem I had with this book was the constant use of the word “stupid”. I felt that was unnecessary and I’m not sure I would want my child speaking like that. Other than that, this was an enjoyable book that I think children will have fun reading and laughing along with. Here at the Book Boost we normally don't do book reviews (except for special occasions like our annual Blogger of the Year event) but after taking a peek at this story and realizing that it was a children's book with a very special message...I had to post my thoughts. Slippery Willie's Stupid, Ugly Shoes is all about a young boy's worry that he won't fit in while wearing his new shoes to school. It is all about our fear that our differences will make us stand out in some negative way and that because we are different that no one will accept us or love us. As the mother of a child with juvenile diabetes, I'm quite familiar with this fear in children. My daughter was diagnosed at the age of 2 and although she is completely accustomed to dealing with her disease on a daily basis, she was terrified of what the kids in Kindergarten would think of it. To soften the impact, I went with her to school and read her classmates a story about Rufus the Diabetes Bear and showed them how she gives her bear shots of insulin just like the ones she must endure daily. Later that day, all her class mates fought over who would sit next to her at lunch. They all wanted to watch her check her blood sugar and everyone wanted to be like her. This book carries very much the same message. It is our differences that make us the beautiful creatures that we are today. I hope you'll check out this touching tale. This is a book about shoes…and who doesn’t LOVE shoes right? Well, Willie for one, or at the very least his newest pair. You see, young Willie needs special shoes to stay on his special feet. Shoes that he won’t just slip out of because when he’s barefoot and fancy free, the sky’s the limit on where he might slide off to next. Special shoes seem like the best solution to the problem at hand, but will Willie be able to get past his fear of what others might think of them? Though certainly not words you usually hear in a children’s book (let alone the title…though they do grab your attention), “stupid” and “ugly” aren’t that far off track when describing his new footwear. Think of a pair of shoes you’ve had that you less-than-loved (me…at the time, black & white saddle shoes….oye….but oh how fun it was when they started coming in PINK and white! )…got the image? Now add on a lock or two attaching them to your feet….yep, I’d say they probably didn’t get much better now did they? Didn’t think so, but here’s the real “key”. It’s not really about the shoes in life or in this book; it’s about something much bigger and closer to home. The author gave Willie something so silly, so out there, so hard to accept to illustrate his point in full color literary fun (and the pictures are just that…full color, and wonderfully fun). People ARE different. It’s those differences that make us unique. Without them, well we probably wouldn’t know any better because there would be nothing to compare the vast amount of sameness to, but I can only imagine it’d be fairly humdrum. The rainbow of personalities, personal styles, hair lengths, face shapes, eye colors, talents and so on all add up to a world of beauty that I would much rather live in….wouldn’t you? So I say, HOORAY for Willie and his slippery feet. Welcome to the club we call life and prepare for all the adventures that await you. As for the story itself, you’ll smile and “aww” your way through this one as Willie and his Mom deal with his special needs. There was one point where I was in shock at the way an adult at school was interacting with Willie, but it turns out to be something else entirely than how it’s first perceived, lending this reader a sigh of relief when all was revealed (because otherwise, I was going to throttle this adult character… *-*). After the story comes to an end, the author included a great add on to the learning/reading experience in the form of an Interactive Guide. In it, there are a few suggested activities and questions for discussion that can be easily utilized by friends, family, and educators to expand the moral of the story into real life experience; something to take advantage of for certain. Continuing through the book, you can’t help but take notice of the artwork. Each one is a work of art and has that distinct quality of a pencil sketch with colored shading bringing them to life straight off the 2D page. The illustrations are fun, funny, and colorful; always depicting in detail the scenes being described along with the emotions flitting from page to page. When Willie is “trapped” in his shoes for the first time, his expression is so sad! It brings a tear to your eye, but no worries readers…it ends on a happy note. Recommended reading for all ages. It’s a tad wordier than some storybooks but the wonderful illustrations and powerful message are well worth the read. So make some time to meet Willie, trust me…you’ll be glad you did. In this charming children's story, Willie is a little boy with a medical condition that has even the doctors totally baffled - he has extremely slippery feet and just can't stop sliding, slipping and spinning around. So he gets a pair of special shoes to wear but thinks they're "the stupidest, ugliest shoes" in the world. He has a bad dream that everyone, even his teachers, the animals and buildings, are laughing at him and he dreads going to school, worried that everyone will be nasty to him. But it turns out that they think his shoes are really cool. It's a lovely book for children who feel "different" in any way - I wondered if the girls would mention the fact that they wear glasses but that seems to be a stigma that has thankfully passed and the playground taunts I remember from my own childhood seem to have stopped now. This is written by an American author and would definitely need a name change for the little boy before being marketed in England ! I get a horrible feeling I'm opening myself up to all sorts of spam by using the words "Slippery Willie" on my blog and twitter feed ! (To any nonplussed American readers, in England willy is a childish word for, let's say, something only little boys have !) The girls, aged 9 and 6, were in absolute fits of giggles when I started reading, especially when it turns out his full name is Willie Wiggles. Even I couldn't suppress a snort of laughter at that one and wondered if it was done intentionally but I don't think it was ! As someone with absolutely no religious beliefs whatsoever, I was actually slightly put off by the Catholic Writers' Guild Seal of Approval on the cover, but apart from the lovely quote at the start of the book - "You are all God’s special individual creations and God “don’t make no junk.” - there is nothing the slightest bit religious or moralising about this book. The illustrations are brightly coloured and full of detail - the girls loved the little bird falling out of the tree with laughter ! - and the "discussion ideas" at the end of the book are brilliant for teachers or parents. I went through them with the girls and it led to some really interesting conversation. The repetitive text is also appealing to kids. Willie Wiggles hates his slippery feet. They are so slippery that he just slips, slides, and spins all over the place. The only thing he hates worse than his slippery feet is his stupid, ugly shoes. He’s certain everyone is going to laugh at him when they see them on his feet. He’ll be the laughing-stock of the school; no, of his neighborhood. Even the animals will be laughing at him. There is no way he is wearing those stupid, ugly shoes. Get ready to laugh, because this is one silly story. Can you imagine having such slippery feet that you can’t even keep your shoes on? Even worse, can you imagine having to walk around with the stupidest, ugliest shoes on your feet that are specially made to help with your problem? Well, that’s what happens to poor Willie Wiggles and he sure isn’t happy about it. While this is a zany story, it tackles a very serious issue: accepting differences. Often young people are anxious about themselves–their appearance, their physical challenges–even when there’s nothing to worry about in the first place. Slippery Willie’s Stupid, Ugly Shoes by Larry Peterson addresses this topic, and it does so by delivering the message in a non-threatening way. That is easily my favorite part of the book. The artwork for this book is wonderful. They are simple illustrations, but they work well with the text. They also manage to display a great deal of emotion, despite their simplicity. Included at the end of the book is an Interactive Guide that contains activities and discussion questions, making Slippery Willie’s Stupid, Ugly Shoes perfect for the classroom or home. Parents and educators can use this as a springboard for more meaningful discussions about accepting ourselves and others. I love this poem at the beginning of the book. Or even be wheelchair bound. Willie has a problem. He slips and slides where ever he goes. He cannot do many activities that his friends and schoolmates can, because he risks bodily injury. To help with the problem, he has special shoes made for him. He is very unhappy about the solution because they are different looking shoes. Willie learns a special/hard lesson in this book. Sometimes we think that things will be worse than they really are. At the end of the story is a guide that has ideas for activities and discussion questions to help children think about having empathy. I thought this was a very cute book and a great idea to help children work through some tough situations. I'm giving it 4 out of 5 stars. 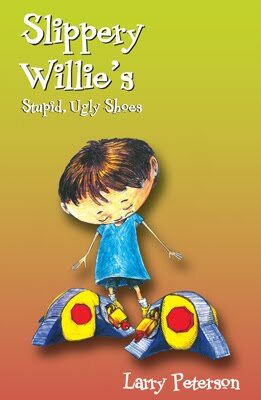 "Slippery Willie's Stupid, Ugly Shoes" is a humorous attempt to show a child that his worst fears about being teased and rejected for being different may be nonexistent outside of his dreams. Willie Wiggles is a boy with a handicap, he slips and slides instead of walking. But he has a pair of unusual shoes that will help him not slip. Unfortunately he thinks they are stupid, ugly shoes and he imagines the worst - that all his friends and teachers and even his mother will laugh at him if he wears them. Luckily, Willie wakes up from his bad dream and finds when he really wears his shoes to school, no one laughs. Colorful, zany illustrations help make "Slippery Willie's Stupid, Ugly Shoes" a direct hit with kids ages 6-10. Willie has slippery feet! He can't ride his bike or climb a tree. Even when he is just sitting at his desk, his socks and shoes slide off. He has really slippery feet! The doctors can't explain it either. Then his mom buys Willie some new shoes - shoes that he won't slip out of. Now he'll be able to ride his bike and climb a tree without slipping off. But when Willie goes to sleep the night before school, he has a terrible dream. He dreams that everyone laughs at his stupid ugly new shoes. His classmates laugh, his teachers laugh, the building laughs and his mom laughs. Willie is scared to wear those shoes because he will be made fun of. But when he wakes up and puts on his new shoes, he is pleasantly surprised. He doesn't slip, the shoes stay on, and everyone at school all want a pair of his cool new shoes! A great message in this little book about being yourself, no matter what and sometimes we worry about things that really aren't necessary. The illustrations are very colorful and eyecatching. A great story to read to your little ones with a good lesson. I absolutely love this adorable book. It teaches children a wonderful lesson in being different and unique, all while being comfortable with who you are. Not everyone likes the same things and that is okay! The world would be boring if people weren't different. In the story, Willie learns that people don't always react the way you think they will. It approaches many different topics of conversation for parents and children to discuss and comes with an interactive guide that helps parents talk to their kids about the topics addressed, such as embarrassment, teasing, being different and worrying. 4 out of 5 Robots! Slippery Willie's Stupid, Ugly Shoes by Larry Peterson is just so adorable. I highly recommend this one to anyone that needs a fresh, new and cute story for their children. This one made me laugh out loud as I shared it with my six year old brother. We both enjoyed the book's eccentricity and illustrations. Children of any age could definitely enjoy this one and take away a little lesson too- that it is okay to be different. Your children will love this one, check it out! Teaching young children that differences are okay is one of the building blocks necessary for children to be able to show empathy for others. 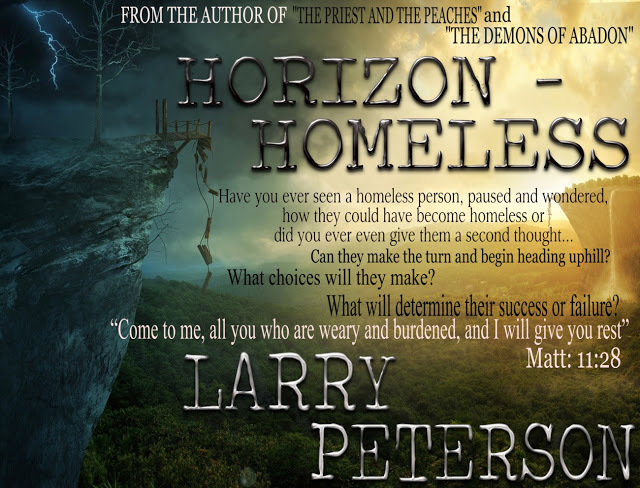 The author, Larry Peterson, takes on this issue of accepting differences in an engaging and light-hearted manner. Children ages 4-8 will be able to easily identify with Willie’s feelings of being different and standing out. While the storyline was definitely geared for children 4-8 years of age, I thought some of the pages had a lot of words. I think this could make it a little difficult for younger children to read. Yet because the story is engaging and fun, it does seem to make an excellent book to read aloud with younger children. I really liked the illustrations accompanying the story as well. I thought they helped express the emotions elicited in the story very nicely. I did have one little pet peeve about the story. I really am not a fan of using the word ‘stupid’ in children’s books. I know it sounds prudish but I worked for many years as a teacher’s aide in special education classrooms, and I also owned a business where I provided respite care for families of children with special needs. I simply heard too many children during those years get called that word. I really enjoyed this book and I think the message is excellent, but that word strikes a chord in me which I can’t shake. That being said, I was thrilled to see the excellent discussion questions provided at the end of the book. There’s a list of ideas to help begin conversations with children about how it feels to be different along with more specific questions asking children what they would do in a situation similar to Willie’s. Overall, a good story with something for both children and adults! Having a son with Autism, this book really touched both of us. I read it first to make sure it was age appropriate for him and it is a great book for any parent to read to their child! All children should read or be read this book! For younger kids, you might want to shorten the storyline, but read it to them! Slippery Willie’s Stupid, Ugly Shoes by Larry Peterson is a fantastic story about Willie Wiggles who “slipped, slid, and spun all over the place.” He has to wear these shoes that he thinks are horrible shoes, in order to walk normal. He dreams that everyone laughs at him, but finds that they are cool shoes when he finally wears them to school. After my son read this story, he told me that: “Sometimes people have problems and need a wheelchair, or glasses, or fake body parts and that’s okay!” He really understood the story! He was a little worried when everyone was laughing at Willie, but felt much better when he found it was a dream! I enjoyed the simply drawn pictures with a lot of color, the alliteration used, and the story. It is very age-appropriate with enough pictures to keep children’s attention. All children should be taught that we all deserve love (no matter what our problems are) and we should never laugh at someone else’s problem. This is a great book to help teach our children these important principles! “Willie Wiggles was like most of the other kids in his class except for one thing. He had slippery feet. They were so slippery that Willie just slipped, slid and spun all over the place. Even when Willie had his shoes on, the slipperiness would slip out and he would still slip, slide and spin.” And so starts this silly but touching story about being different from our peers and how we deal with our “different-ness”. Join “Slippery Willie” on his adventure. I really enjoyed the simple story, the simple message and the adorable pictures. I know my children will enjoy this book over and over again. I love the word “slipperiness”. It’s awesome! I like the fact that the author states in his dedication page that we are all different and made special in God's eyes. God didn't make any junk. The story was very cute how Willie slips and slides all over the place without his special shoes. At the end of the book the author gives some interactive activities that can be done to incorporate this book into a class room. There are also discussion questions to get the pupils thinking and talking. This book could be a very good tool in teaching on accepting everyone as they are. Willie isn't like the other kids. He has slippery feet! Everywhere he goes, he slips and slides all over the place. Even when he wear shoes, he still slips and slides. So one day, he gets a pair of shoes that will keep him from slipping and sliding. But they're so ugly! How can he ever wear them to school? Everyone will laugh! A first children's book by Larry Peterson, this story tackles the concept of accepting differences. The ending includes a list of ideas to open up discussion about this very topic. The images in the book are colorful and engaging. They do a great job evoking the feeling of the book, and they will delight younger readers as well as adults. The storyline of the book seems to me to be best geared towards a 5-8 yo age group, but the ideas can extend well beyond that group. There were quite a few words on most of the pages, however, making it more likely to be a read-aloud for younger children. The discussion points included at the end offer a great starting point for groups of children to discuss how it feels to be different. The storyline itself is engaging and fun, and the silliness factor will really engage children. Many children know the feeling of being different and afraid to stand out, and the crazy extremes of this story will delight. Overall, a fun story for children and adults alike and a recommended read! Yesterday, after work, (I'm old so, besides writing stuff, I have a part time job in the cafeteria of a local high school. Yeah, I collect lunch money and maintain the condiment table and drink cooler. Actually, it is a lot of fun and a diversion from the mundane. Dealing with extremely "smart and wisdom laden" teenagers is very educational---trust me). Anyway, after work I headed to the dentist because the day before I had four teeth extracted and they wanted to make sure I had stopped crying and could still speak. I had and I could. Onward and forward to "Kid's Planet" (good name because it is OUT there), my grandson, Tyler's, day care center to pick him up and bring him home so the wife and I might experience the joys of grandparenting. When I arrive at Kid's Planet the first thing I must do is follow procedure and turn off my cell phone. Then you open the gate with the latch six feet off the ground (like a little kid couldn't climb a chain link fence and open it) and enter into the "other planet". Now, I have picked up Tyler numerous times and when he sees me he immediately runs to me yelling, "Grandpa! Grandpa!" All of the "teachers" know me too. So, the first thing they do is ask me for my ID and ask who I am. I don't get it? I'm the grandpa so I should be the senile one, right? Plus, they are wearing out my license. The sides are peeling back. But, we are in the SAFE 21st century, and everything is done for our benefit. So, I cooperate and sign in. Identification confirmed, I sign out. I bring Tyler home and he is wired. He is reminding me of "Slippery Willie" because, in the car, he slipped out of his seat belt nine times and slid onto the floor three times. I, too, am now wired. My poor wife, feeling the side effects of chemotherapy, (she wanted to see the little guy--don't blame me. I did promise I would take care of him) is in the lounge chair with this expression on her face like she had come from another "planet". I assume that Tyler is not cheering her up as she thought he would. So, I decide to feed the kid to quiet him down. "Want something to eat, Tyler"
Silence---he's playing with the electric outlet. "Don't do that. You'll get a shock." Woosh---he is out from under the table and down the hall into the back bedroom. Kaplunk---kaplunk---kaplunk---he is jumping on the bed. I search for my tranquilizer gun but I cannot find it. Dang--"Stop jumping, you're going to fall." He promptly obeys and, with his last jump, flies off the bed and smashes into the wall. He is unhurt but screaming like someone is killing him or something. And so it went. Just another fun Friday with one of the grandkids. Daughter came by a few hours later and shared how frazzled she was and what a horrendous day it had been. I gave her a hug and said, "Awwww---poor baby. Want some bread and jelly?" Slippery Willie's Stupid Ugly Shoes is a fun book to read with great illustrations. Though there's definitely a message contained in the story, it is delightfully told. It's the kind of book that would be great to read in a classroom--and there's a bonus at the end: questions the teacher can ask the kids to get them thinking. Author Peterson has done a fantastic job showing a kid who is different and how he's treated at school, but in a fun way. This book is recommended not only for classrooms but also for moms and dads to read to their kids. I need to start off by saying Larry Peterson's dedication was perfect. Willie had slippery feet and needed the courage to wear ugly shoes his mother got him. This has a great lesson amongst the crazy slipping and sliding. The activities in the back of the book were also were great. I read this to my son to get his reaction and when the mom pulled out a net to catch Willie he cracked up. He thought it was hilarious. My son is in ESE, so he has children in his class with disabilities and I know the children in his class will love this book. It shows that even though you may be different you can still be yourself. People are not standing back pointing and laughing. It also shows that making fun of people is bullying. Slippery Willie's Stupid, Ugly Shoes is a fantastic children's book. Being “different” is rarely an asset in elementary school. Kids who don’t conform to what’s considered “normal” are often teased and shunned by their classmates. And that was to be the fate of Willie Wiggles in the children’s book, Slippery Willie’s Stupid, Ugly Shoes, by Larry Peterson. Willie had a very unusual disability: his feet were so slippery that he slid and spun all over the place! His mom would have to catch him with a butterfly net. So, Willie had to wear special shoes so his feet wouldn’t be slippery. Unfortunately, these shoes were huge and had a big lock on them so Willie wouldn’t take them off. And, naturally, his classmates laughed at Willie’s atrocious shoes. But, it turns out, the other kids’ laughter was all just a dream based on Willie’s fears. When he got to school, the other children actually thought his unusual shoes were cool! I like how this book includes discussion questions that adults can use with kids, such as, “If you were in school with Willie, and everyone was making fun of him, would you stick up for him or join the others?” Questions like this can help encourage empathy and tolerance in children. Slippery Willie’s Stupid, Ugly Shoes contains plenty of silliness that kids will love, but with a lesson that gets adult approval. When I was offered this book to read I had to say yes. Before I even started it I felt a bond with Willie. My daughter had to wear 'Special Shoes' because her feet turned in. She only wore them at bedtime but that did not stop her from not wanting to wear them or worrying about it. I tried to make her feel special for having to wear the shoes so I knew what Willie was feeling. Worse for him because he had to wear them to school. I will be honest, when I read the first few pages I was angry. Children laughing, teachers laughing, what was the message in this book? BUT, I was very wrong, Willie was having a dream and in his dream it was his worst case come alive which was very different then what really happened when he first wore his special shoes to school. I found this a delightful story. I love books about the differences in people. Whether it be skin color, religion or even physical challenges we are all the same underneath. We must start teaching our children to not see the differences but to accept everyone for who they are, stupid ugly shoes or not. The pictures were cute. I think they would appeal to a child. They look like pictures that a child would have drawn and that makes them more special in my opinion. The cover is simple, but gets the point of the story across. Willie's shoes on the cover are preposterously large and seemingly unmanageable ... which makes one wonder how he is able to navigate while wearing them. This was a cute little story about a child and their insecurities with being "different." Willie was an average child, but with one difference ... he had the slipperiest feet in the world. Having grown up with this difference, he was okay with it and knew how to handle himself because of it. But, when things changed and he got some anti-slippery shoes, he became unsure of himself. Would his self-confidence take a beating because of this change? This was a quick and adorable story about not only accepting people as they are, but learning how to accept change as well. I would recommend every parent get this for their child to read. Slippery Willie’s Stupid, Ugly Shoes is a funny little children’s book that made me laugh out loud. The book started off being a little crazy and then just turned around and was a lot crazy. But it made me laugh and I really enjoyed it. I loved the illustrations too. They were plain and simple and I just really loved them. Slippery Willie’s Stupid, Ugly Shoes is a really neat little book and I am sure that children of all ages will absolutely love it. This was such a cute book! It would really be a great tool for helping kid's accept differences in one another (ethnicity, style of dress, hair color) - whatever kid's get picked on for these days. The illustrations were also very cute - just look at the cover, or watch the video below. 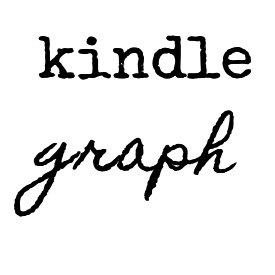 Amazon has the reading level at 9-12, but I think it could be read to younger audiences also. Actually, he is in freak out mode. Why? He has moved on to the BIG FOUR OH---OH NO. So he has been feverishly working out, jogging three miles a day, lifting weights and doing whatever else he can do to make himself escape reality. He even buys that powdered protein stuff and eats egg whites. (And he wonders why he is suddenly finds himself living alone) I say---THANK YOU SON---because there is no problem for me in picking out a gift for him. Simple---two dozen eggs and a couple of cans of room deodorizer. He' ll be good to go. Tyler, well, he is four. I learned a long time ago that kids that age are more thrilled with the boxes that the useless toys come in than the toys themselves. So, I have visited the local public storage facility and bought two cardboard boxes that cost me six bucks. He'll be happy as a little clam especially when I give him the three dollar LED flashlight I bought in the dollar store. He'll be able to sit inside those boxes until the batteries burn out. Now comes Theresa, age nine, almost a woman. I can tell because she has some kind of funky coloring on her lips and her nails are decorated in contemporary, multi-colored, swirls which I believe she did herself because she "knows best". She is the most expensive to buy for. I'll probably get her a $20.00 gift card to "Farmville" or something like that. Interesting part of this is that this event has been planned by my youngest, my daughter, Mary, who in her quest to be efficient and be expert in time management techniques, has ordered one sheet cake with the three names on it. Well, we'll see. I wonder if we all get three pieces of cake and three scoops of ice cream each. I hope so. One of the hardest parts of growing up is being different. Larry Peterson addresses this issue in Slippery Willie's Stupid, Ugly Shoes. If you had to wear shoes like these, everybody would laugh like Elmo. That is precisely what happens in the book. 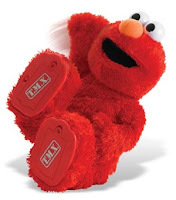 Even though there's no Elmo, everyone rofls (rolls around on the floor laughing). The kids in class, the teacher (! ), the principal (gasp). Even the the jet plane in the sky tips its wings because people inside are laughing. What happens next? Spoiler coming, but as we're all adults here and this is a children's book -- I'll go ahead and mention it. Slippery Willie wakes up. It was a dream. He still has to wear these stupid, ugly shoes, but life is not as bad as he expected. Why worry? This is a sweet book, brings back memories. I remember fussing at age 11 because my mother insisted I wear a certain dress to a family Christmas gathering. Turned out the dress didn't matter, it was one of the most fun parties I remember. But I digress. Because of the long text on some pages, the book would serve better as a read-aloud book in the classroom rather than being a "reader" for children. There are good discussion questions about differences in the back of the book; the same questions can be found here. 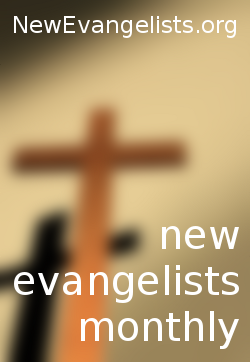 If you have suggestions, please post here! This picture book about self-acceptance is very cute and whimsical while containing a very important lesson for children. Because Willie believes that his shoes are awful and unacceptable, he puts a lot of pressure on himself - to the point of dreaming about all the horrible things that will happen if he wears his shoes. The idea of differences being okay is a very important one that children can definitely benefit from. This book can be used as a platform to discuss with children what makes people different from each other - be it race, disability, personality, background, etc. - and teach them the appropriate response to anyone that is different - themselves or others. With vivid, interesting pictures, this book is definitely great conversation starter for parents, students, and teachers. Larry Peterson was born and raised in the Bronx, New York. As a freelancer, he has written many newspaper columns for local publications. Slippery Willie's Stupid, Ugly Shoes is his first children’s book. Peterson has lived in Pinellas Park, Florida for the past 28 years. Slippery Willie's Stupid, Ugly Shoes is a tale about the acceptance of differences. Slippery Willie's Stupid, Ugly Shoes is about a boy named, Willie Wiggles, who has the slipperiest feet that anyone has ever seen. He has a hard time playing like ordinary children. He can barely walk without sliding all over the place. Then one day, it happens, Willie's mother finds a pair of shoes that will make Willie's life a little easier. But Willie doesn't see it that way. He feels they are the ugliest shoes he has ever seen, and he can't stand them. But, not being able to get out of it, is forced to wear them. He wears his new shoes to school, where everyone laughs at him, including his teacher and principal. Feeling self conscious, he leaves the school and heads for home. His adventure home is full of people who ridicule him. People laugh and make fun, their voices ringing through his ears to the point where he can't escape the cruelty of others. When he confronts his mother with what happened. He wakes up and realizes it was just a dream, but the lesson he learns from his mothers wise words, makes him realize that sometimes our imaginations get the best of us, and we overreact. When Willie goes to school with his new shoes, will his nightmares become a reality? This is a great story that recognizes the many problems that children have to deal with on a daily basis. But the moral is not to worry about what others think, and to accept ourselves for the things that make us special. That is where it begins. The back of the book provides some suggested activities for the reader to get involved with, and includes some discussion questions. My only quibble with this story is that it uses an excessive amount of the words, stupid and hate. Otherwise, this story does give the reader, in a fun way, the importance of accepting others uniqueness, and not ridiculing people who are different than ourselves. We should treat others as we would like to be treated. Larry Peterson has written, Slippery Willie's Stupid Ugly Shoes, and it is one I am raving over right now! Willie Wiggles is a little boy that has slippery feet. No one knows why, but he just can't seem to sit still or stay up on his slippery feet. But even more than his slippery feet, he hates the new shoes that are made for him to quit slipping. He is sure everyone and everything is laughing at his shoes and he feels horrible about it - UNTIL, he chats with his mom a bit. :) I love this - it encourages us to think about what we are worrying about - maybe there's nothing to worry about in the first place! BUT, it also does a fantastic job of showing that kids are different - we are not all made the same - and that is what I loved even more. As a mom of a daughter with special needs (that often aren't explainable by doctors) we just know that we truly are all made differently but there is nothing wrong with that! 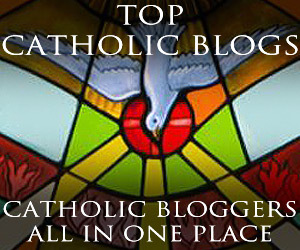 I will shout this one from the rafters - I loved it and it has a special spot in my heart!! Thank you, Larry, for caring for the "special" ones! !